Last Tuesday, Steve and I celebrated our second anniversary. I honestly can’t believe that it’s already been that long. I feel like it was just yesterday that we recited our vows, pushed Steve’s picture-taking patience to the very limits, ate some delicious cake, and started our life together. From the very beginning of our friendship, God has used Steve to point me to Him in so many ways (you can read about all that here, here, and here). I’m so grateful for the chance that God gives me every day to experience His grace, forgiveness, and love through Steve. We went all out last year for our first anniversary, taking a trip to St. Louis to see the sights and watch the Minnesota Vikings play. So, this year we took the opposite approach. We’ve watched the tv show Psych together for the past three years, so we knew we wanted to be able to watch Psych the Musical, which aired on Sunday the 15th. But, since we don’t have cable, we were worried we wouldn’t be able to watch it. Our solution was to stay in a hotel for one night so we could watch the musical there. 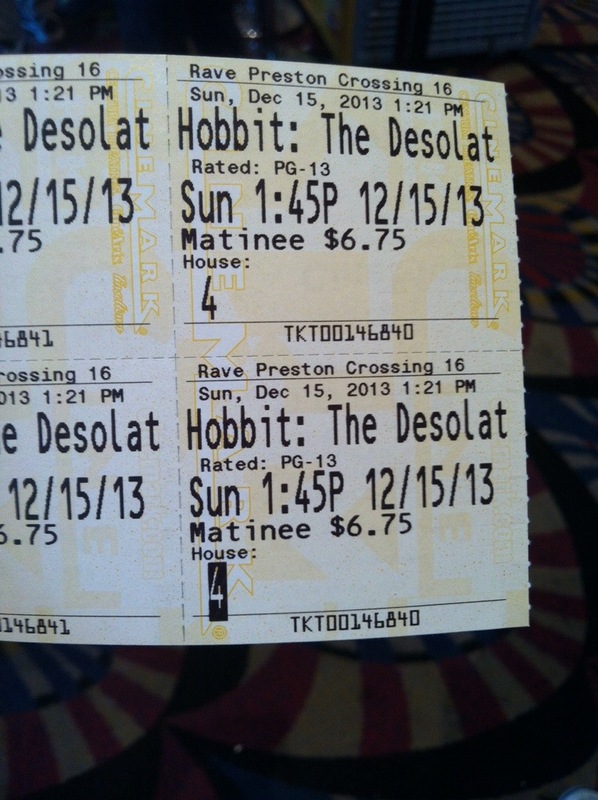 On Sunday after church we went and watched the new Hobbit movie (which we both liked), then headed to the hotel. We had a relaxing night together, ordered breakfast for dinner from the Cracker Barrel next to the hotel, and ate it while watching Psych the Musical, which we thoroughly enjoyed. It was wonderful to get away from the house (which is still very unorganized and partially packed) and spend some time together, just the two of us. Then, on the night of our actual anniversary, we rented the new Superman movie from Redbox, popped some popcorn, and ate some delicious peppermint ice cream. It was definitely a success, and we’re looking forward to celebrating many more happy years, Lord willing.